At Osborne, we are driven by a culture of High-Performance, High-Quality & High-Commitment. We are 100% committed to raising the standards in the recruitment industry, and pride ourselves in taking a more consultative approach to recruitment. We believe in the 'Osborne Way' of doing things - where trust, collaboration, professionalism, accountability, curiosity and care are at the heart of everything we do. 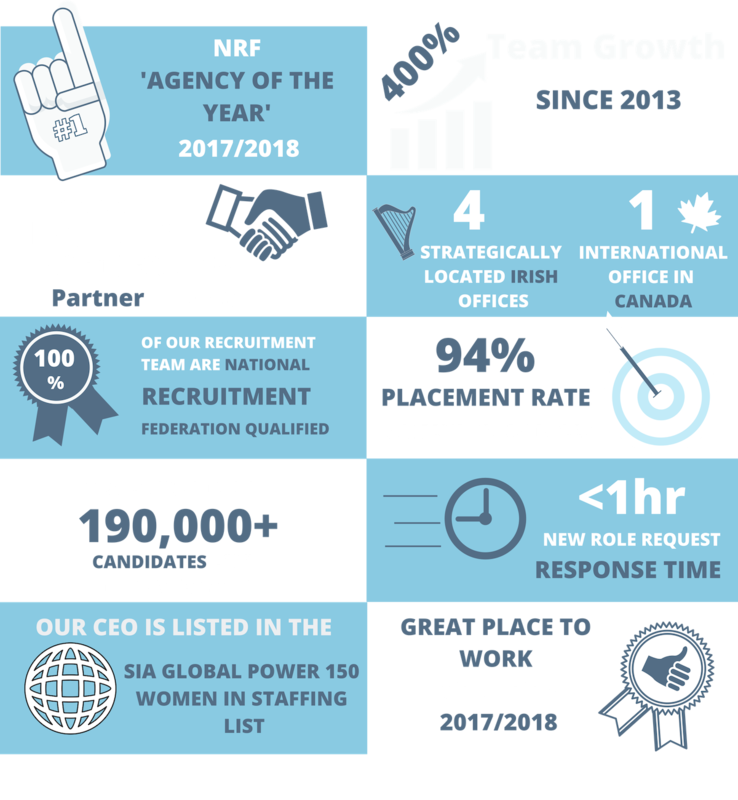 If you're searching for somebody new to join your team, or thinking about a potential role change, contact our award-winning recruitment specialists to discuss your recruitment needs today! In 2015 we made the strategic decision to open our third office along the M1 Corridor in Drogheda, Co. Louth. find your perfect job or future employee. Our Recruitment Specialists work with hundreds of quality employers and thousands of candidates across multiple sectors. Our specialist sectors include Accounting & Finance, Office, Secretarial & Customer Service, IT, Technical & Engineering, Sales & Marketing, Executive, HR & Legal Appointments. So, whether you're a candidate searching for your next big opportunity or an employer looking to add to your team, Osborne has you covered. +353 1 6380440 or email info@osborne.ie.